Manyoni Orphan Partners is the outgrowth and latest incarnation of a long succession of ministries developed and sponsored by our congregation with our Tanzanian partners in mission. In the last twenty-four years we have been involved with Bishop Alpha Mohamed in building the Cathedral in Arusha, training indigenous missionaries, sponsoring teaching missions and building churches in rural Tanzania, helping to build the Cathedral in Manyoni, funding the operation of the regional hospital, and finally envisioning and starting a ministry to AIDES orphans, a ministry that has evolved into Manyoni Orphan Partners, for which we have built offices and classrooms, purchased vehicles, and participated in sponsoring orphans. At present, 92 orphans are in this unique program through which orphaned children are funded to live in the homes of relatives, thus enjoying the security and love of family rather than being “warehoused” in an institutional setting. Their support includes clothing, food and shelter, medical and dental care, education expenses, and spiritual nurture. 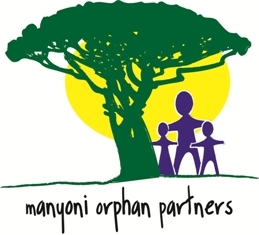 Manyoni Orphan Partners is a partnership of those who sponsor individual orphaned children as well as persons who make general contributions to the larger ministry and its capital needs. Currently we our working with our partners in Tanzania to build a Vocational Training Center in which to offer hands-on education in sewing and computer science that will equip students for jobs to support themselves and their future families—something sorely needed in this impoverished region. 1. Sponsor an AIDS orphan for $55 monthly. 2. Pray for the orphans and for the ministry.